Isn't a winter sports holiday meant to be the ultimate get away from it all? Nestled in the mountains, with only the gentle swoosh of skis and snowboards breaking the silence, do you really want to be the one to get out your mobile phone and spoil it? Whilst skiers and boarders are vociferous in condemning those people who take over the lifts and queues with their loud and overbearing phone conversations, they are grudgingly admitting that mobiles do have their place on the slopes and, on some occasions, could even be life savers. Coupled with the fact that many of us use our mobiles as our main camera or even video camera nowadays, it's no surprise that more and more of us will be taking our phones to the powder. 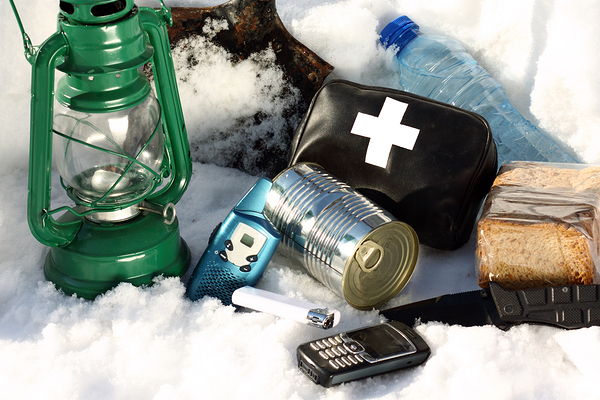 "If you get separated from your companions and end up in an accident, your phone can help others locate you and get to you fast"
If you're skiing off piste, get separated from your companions and end up in an accident, your phone can help others locate you and get to you fast. Likewise, if you see someone in trouble you can summon help for them. We allowed them to have cell phones as soon as old enough to use them as most resorts have mobile coverage over the mountains. If we got separated there was a better chance of being able to find each other quickly. I can't remember ever needing to use until they were older teens and skiing on their own anyway. Even if your children are being taken care of in ski club or with a ski nanny, you'll find that they will want to you be contactable. It makes sense to programme the emergency numbers into your phone - double check these before you leave. Finally, do remember that mountain coverage can be good but you cannot always rely on a signal. if you are skiing alone, do tell people where you are going and when you expect to be back. Keep phone in a ziplock bag to protect from moisture. Some even say their phones can use the touch function without even taking it out of the bag! Apart from getting it out for photography, there are some unspoken rules about using your phone on the mountain. 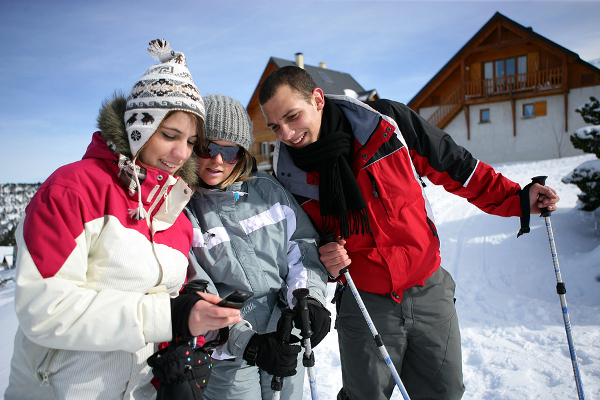 And of course, taking your mobile on a ski holidays means that, once you are down from the slopes, you can check out your favourite ski and snowboard apps!